March isn't just about pancakes and the beginning of Spring, it's National Bed Month too! That may sound like the perfect opportunity to lounge around and have a few extra lie-ins - but why not use it to focus on creating a much more positive relationship with your bed? First things first, what do you think defines a 'positive' relationship with your bed; using it as a place to study, spending time in bed watching Netflix and scrolling through Instagram or just using it to sleep in? The latter is the correct answer! Once you start spending too much time in your bed, it becomes unhealthy. As it does when you're not spending enough time there either. The recommended amount of sleep for 18-25-year-olds is between 7 and 9 hours, meaning that's how long you should be in bed too. 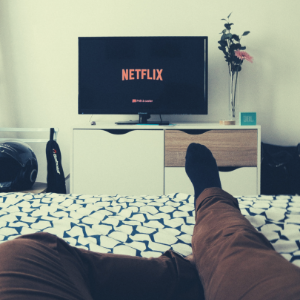 By using your bed as a place to study or watch films, the focus is shifted from a place of sleep to a place of lounging and when you try to sleep on a night, your brain (and body) is confused because this space is associated with other tasks. 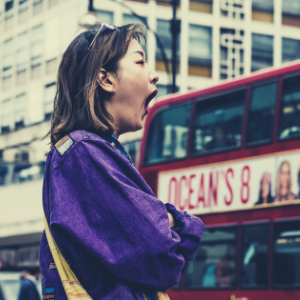 You might not mind the occasional restless night but if this becomes regular, a lack of sleep can cause some pretty serious problems, especially with your concentration and mental health. Plus, how annoying is that feeling when you can't sleep and you're just counting down the hours until you have to get up? For those of you who have noticed this happening more regularly, changing your sleep pattern isn't something that will happen overnight but by making small changes often, it will have a positive effect on your relationship with sleep and most importantly, your bed. Those who sleep well tend to perform better at uni, work and the gym so it's worth giving it a try! Alter the light, temperature and noise because they have the biggest impact on your sleep. Make sure your room isn't too warm, your neighbours aren't playing loud music and you've got all the lights off and you're more likely to fall asleep with ease. Avoid caffeine so that you're not buzzing before bed; try a chamomile tea or warm milk instead. Invest in comfort in the form of a mattress topper or cushions/pillows if you just can't get cosy in your bed. Stay awake during the day by avoiding naps, otherwise, you'll find it much harder to get to sleep at night. Stay offline for at least an hour before going to bed meaning no phone, laptop or games console. It keeps your mind awake whilst your body is calling out for some sleep; nothing wrong with a good old fashioned book! Sleep has a huge impact on your mood and ability so it's an important thing to get right. Most of us don't have the best relationship with our beds and use it for much more than sleeping, which leads to having inadequate or broken sleep. This gives you enough of an excuse to give new things a try to see if they have a positive impact. Give this a go throughout National Bed Month and by April, you'll be living your best (energised) life! Is your phone hindering your happiness? Battling loneliness at university How I make my long distance relationship last Before you apply, check your social media... How to avoid being a broke student Staying safe on a night out Making the most of your final term as a fresher! Is your diet as good as you think it is? How to maintain a positive mindset If you were a dog, which would you be?